The company has played a large role in developing the capabilities of the Littoral Combat Ship fleet by delivering mission modules, minehunting systems, integrated bridge and navigation systems and the MQ-8 Fire Scout unmanned aircraft system (UAS) to ensure continued littoral dominance. 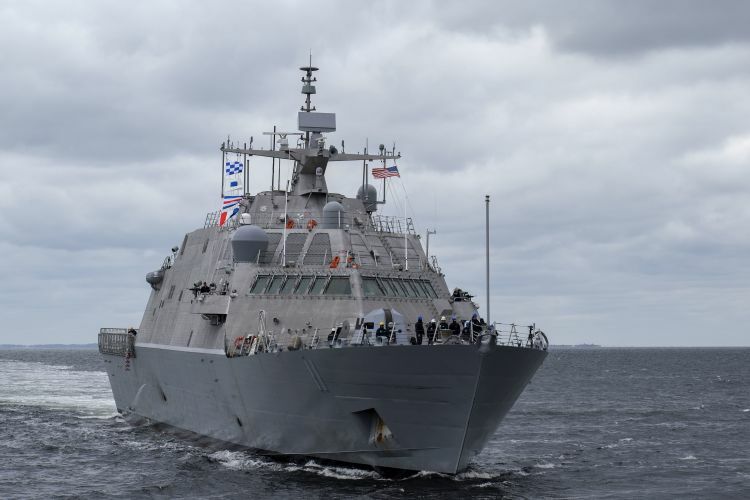 The latest addition to the U.S. Navy’s Littoral Combat Ship (LCS) fleet will be commissioned at the U.S. Naval Academy in Annapolis, Maryland on Saturday, Nov. 17, 2018. LCS is a flexible, reconfigurable class of ship designed to patrol close to shore and has previously been forward deployed to provide maritime presence in Southeast Asia. Northrop Grumman has been a major supplier for both variants of the LCS ship, Freedom and Independence, since the first keel was laid in 2005. The USS Sioux City is the 11th ship in the fast and versatile LCS class. As the mission package integrator through the Mission Module Design Engineering, Production and Sustainment program, Northrop Grumman is proud to support the commissioning as a “Captain Level” sponsor. Through its delivery of components for the Freedom and Independence-variant LCS vessels, Northrop Grumman has a long and proud 13-year partnership with the U.S. Navy Program Executive Office (PEO) Littoral Combat Ship, which was renamed PEO Unmanned and Small Combatants (PEO-USC) this March. 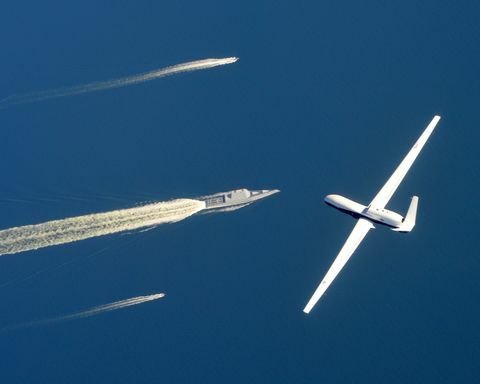 The mission-enabling technologies featured on the LCS fleet include the Northrop Grumman LCS Modular Mission Package, Airborne LASER Mine Detection System (ALMDS), and Fire Scout UAS. The modular mission package equips the ship with mission capabilities needed to perform mine countermeasures, surface warfare or anti-submarine warfare operations. The ALMDS provides mine countermeasure support through LASER-based airborne mine identification and detection capabilities. Fire Scout is the Navy’s newest autonomous helicopter, and the latest MQ-8C variant brings increased speed, endurance and payload capacity to maritime operations. Fire Scout directly supports the warfighter by enabling real-time intelligence, surveillance, reconnaissance and target acquisition. The bridge and navigation systems include the navigation radar, autopilot, Voyage Management System (VMS), electronic charts, navigation data distribution, inertial navigation, and global positioning and timing systems, plus other navigation sensors. VMS is the proven fleet standard for charting, and the inertial systems provide accurate position, velocity and attitude with and without GPS aiding. Northrop Grumman also supports PEO-USC with the AQS-24B minehunter, which is a synthetic aperture SONAR towed by MH-53E Sea Dragon helicopters and by Mine Hunting Unmanned Surface Vessels. The AQS-24B provides a high resolution side-looking SONAR for mine detection, localization and classification and also hosts a LASER-Line Scan system for mine identification. 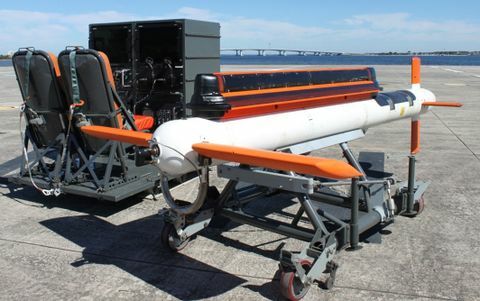 Northrop Grumman is currently in production of the AQS-24C variant, which adds a Volume Mine Search capability. 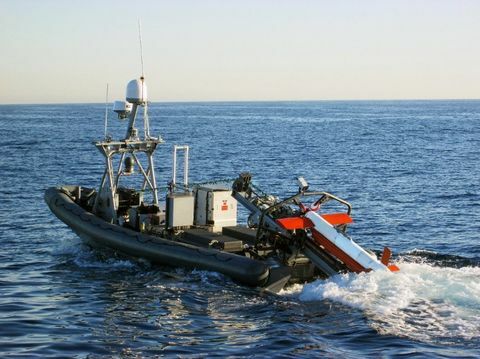 Northrop Grumman is also producing a launch and recovery payload for Mine Countermeasure (MCM) Unmanned Surface Vehicles, which will provide optional mine hunting capabilities for LCS using the AQS-24B/C minehunters. Northrop Grumman’s LCS Mission Module Design Engineering, Production and Sustainment program is led from the company’s facility in Bethpage, New York. Bridge and navigation systems are designed and manufactured by Northrop Grumman in Charlottesville, Virginia. Fire Scout is produced in Moss Point, Mississippi. The USS Sioux City commissioning ceremony will take place on the grounds of the U.S. Naval Academy, which is nearby the Northrop Grumman Annapolis facility that produces the AQS-24B/C minehunters.